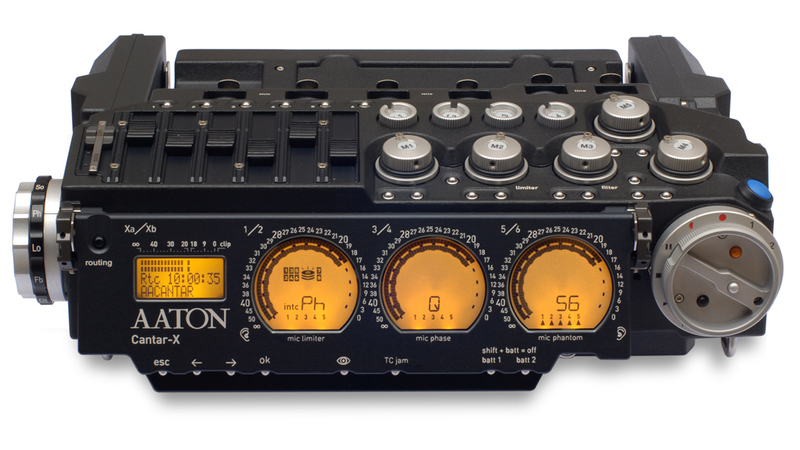 Aaton's ergonomics applied to Digital Audio Recording gave birth to Cantar, the Stradivarius of multi-track digital sound recorders. The operator has permanent access to mechanical faders, each devoted to only one function: nine rotary analog faders, plus six linear mixer sliders, no other recorder offers such luxury. They are positioned so the operator's hands rest on them in a perfectly natural position, whether Cantar is on the shoulder or the cart. 'Cantar Sound' has become a reference among recordists: they have never encountered such a small machine producing such a big sound.